AvaNews! Jan 2016 ~ Happy New Year! 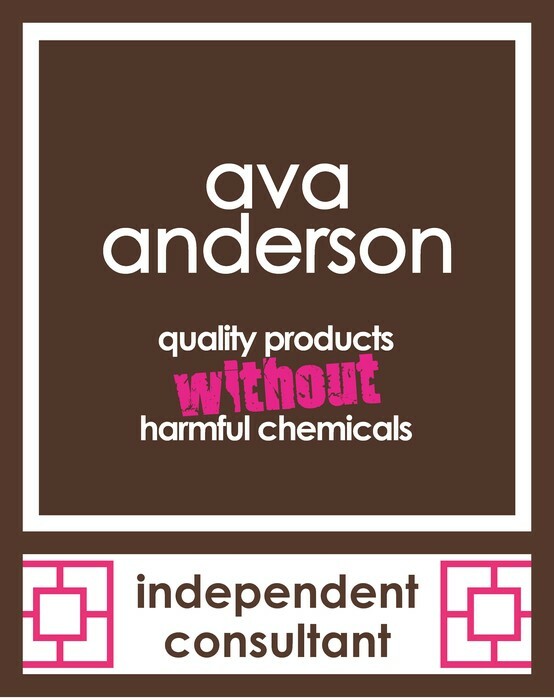 Each month, I will send the Ava Customer Special of the month, highlight a product, and provide some general information that is relative to the mission of AvaAnderson Nontoxic. If there's something you have a question about that you would like to see highlighted in the next issue, just let me know - and I'll do some research. I'm by no means a scientist, or specialist, just a lady who finds these products amazing, and the fact that too many products in our every day life that we trusted to help us, are harmful. This purpose of this newsletter is to educate consumers and I will be learning as well. If at anytime you wish to unsubscribe, please let me know. 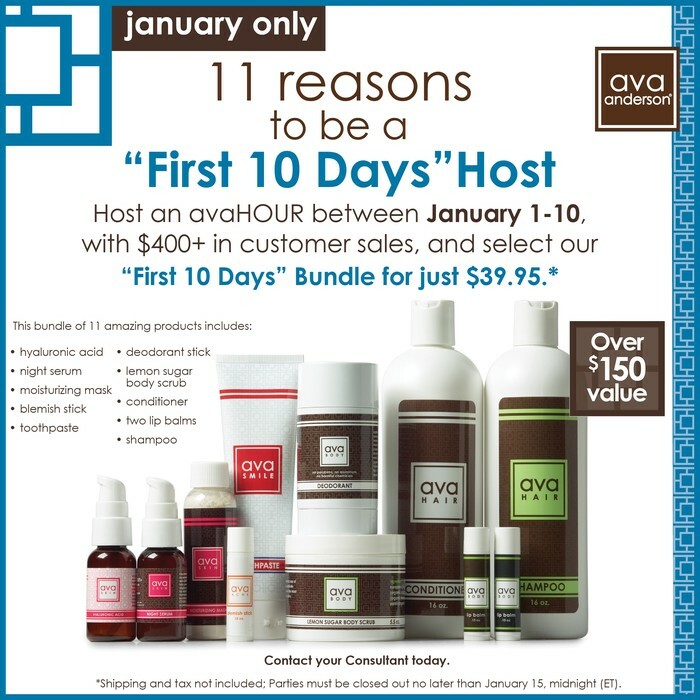 January is THE Month to Host an avaHOUR!! Ladies – January is an AWESOME month to host an avaHOUR. Get DOUBLE Points! And – if you host a party between now and 10 January, and sales total $500 (before tax and shipping) – you can get double points AND over $150 worth of Ava products for only $39.95. This really is an amazing deal. 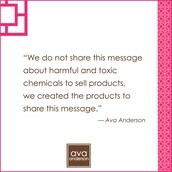 A great way for you & your friends & family to start going non-toxic. I'd love to help you host an avaHOUR - we can tailor it to your liking ~ I'm all about keeping it casual and low key. 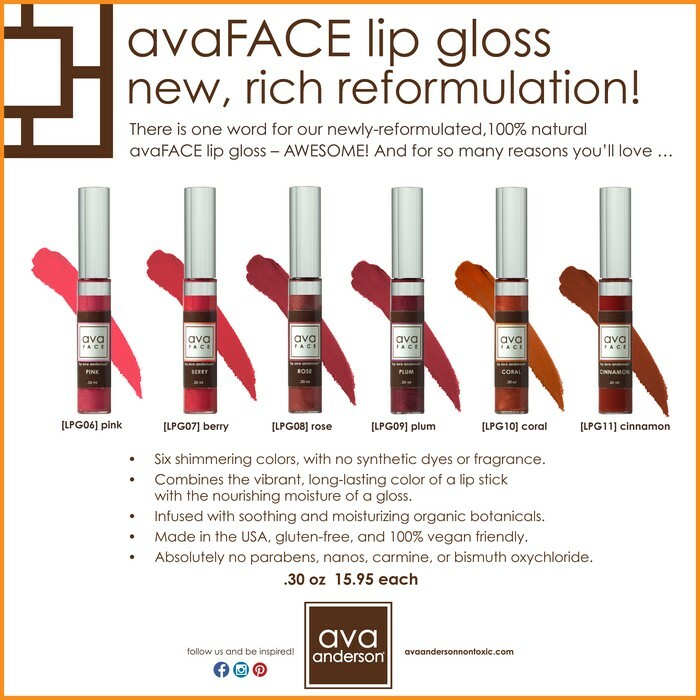 Just get together and see some of the products and the difference they will make for YOU! $400+ in product orders @ YOUR party & you get $150+ worth of products for only $39.95! 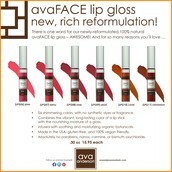 These are reformulated - lipstick/gloss with great staying power and moisturizer. FREE Moisturizer. 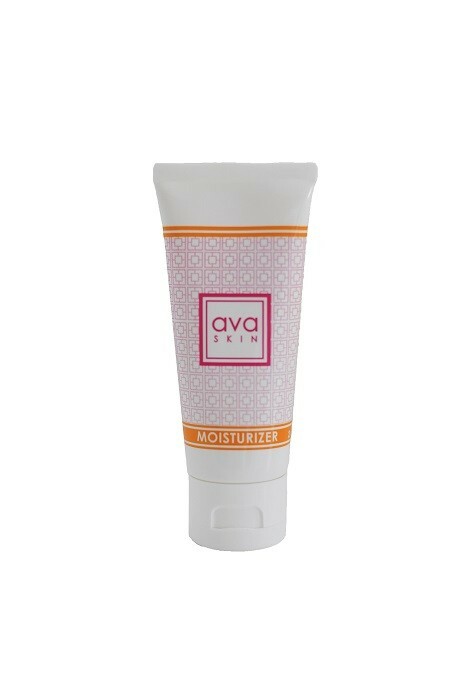 For customers this month only, our avaSKIN moisturizer is FREE with a $95* or more order. Enriched with anti-oxidants, conditioners, emolients, nourishing oils and vitamins, to achieve radiant youthful looking skin with improved elasticity. Gently smooth on face and neck. Repeat throughout the day as necessary. Don’t forget your hands!. 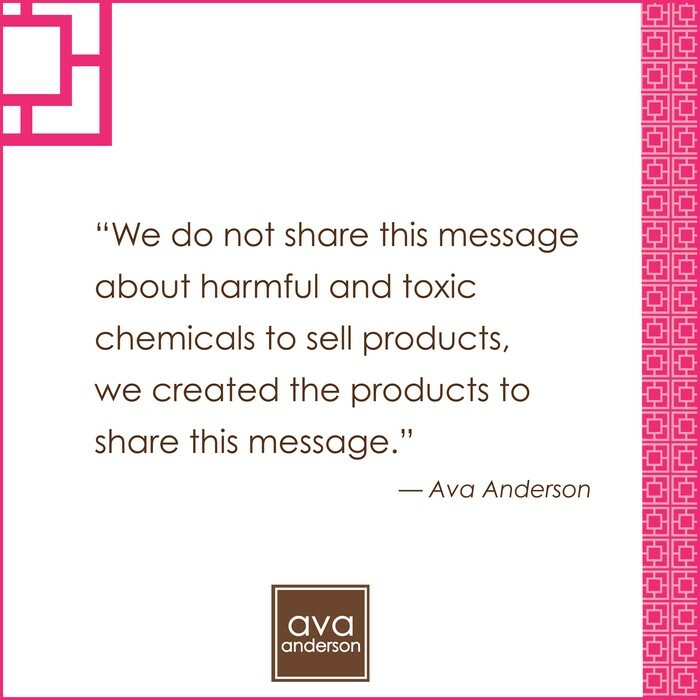 What's in avaSKIN Moisturizer? ~ It's all Natural! 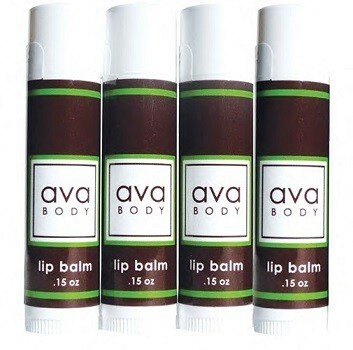 Ingredients - Organic shea butter, beeswax and essential oils keep lips healthy, hydrated and soft. Ingredients: butyrosepermum parkii (organic shea butter), cocos nucifera (organic coconut oil), organic beeswax, helianthus annuuss (organic sunflower seed oil), prunus amygdalus dulcis (organic sweet almond oil), menthe viridis (organic spearmint leaf oil). Arachidyl propionate, camphor, carnauba wax, cetyl alcohol, D&C red no. 6 barium lake, fragrance, isopropyl lanolate, isopropyl myristate, lanolin, light mineral oil, menthol, methylparaben, octyldodecanol, paraffin, phenyl trimethicone, propylparaben, saccharin, white wax. Camphor Camphor is a waxy substance derived from the camphor tree. It’s classified by the Environmental Working Group as potentially toxic. According to Medscape, “Ingestion of even small doses of camphor can cause fatal poisoning in small children. It produces gastrointestinal and central nervous system irritation after toxic ingestion. Nausea and vomiting followed by agitation and seizures are common.” Why would Pfizer include a potentially dangerous ingredient in a product that kids use all the time? Fragrance When “fragrance” is listed in the ingredients, you can assume it’s synthetic—and not a blend of natural flower extracts. The National Academy of Sciences (NAS) reports that “95% of the ingredients used to create fragrances today are synthetic compounds derived from petroleum, including benzene derivatives, aldehydes, and many other known toxins and sensitizers.” According to the Environmental Working Group (EWG), there are potentially hundreds of chemicals in a single product’s secret fragrance mixture. 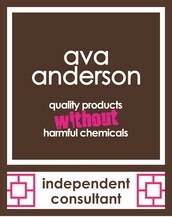 Want to know what ingredients are in an Ava product? From my web page, click "Shop" - select the product you are interested in, then click "View Details". Every ingredient will be listed. If you have any questions, or would like to host and avaHOUR in your home, just let me know! I look forward to hearing from you. ~ Thank you so much for signing up for this newsletter. Merry Christmas!